One of the most attractive older homes in Rio Vista is the former home of John McCormack, located on the corner of St. Gertrude Avenue and South Fourth Street, across from Rio Vista High School. For more than three decades, the home has been known to most locals and tourists, as the Dutra Museum of Dredging. Though 105 years old, the home is remarkably well preserved and retains much of its original detailed interior woodwork. Its many rooms are very spacious and illustrate the architectural design of its initial construction in 1907 and its remodeling a decade later in 1917. The current exterior is a “craftsman style” design. Originally a smaller two story white house, McCormack decided to enlarge it within a few years of its initial construction. The contractor who erected the original home remains a mystery. However, it was likely either Weston Campbell or Jens Peter Mortensen, prominent contractors at the time. John McCormack was born June 1865 in New Mills, Restigouche County, New Brunswick, Canada. He was the first of eleven children born to Daniel (Donald) McCormack and his wife, Janet G. (McBride). One of his brothers, Thomas McCormack, was the subject of this publication’s last article on historic Rio Vista homes. McCormack arrived in California in 1884 and settled in Roseville. Three years later in 1887 he moved to the Rio Vista area originally to farm rented land. With the guidance of Johnson and Emigh, well-known local warehousemen and dealers in grain, McCormack became a grain farmer. Before long his lands were prospering and his interests were growing. 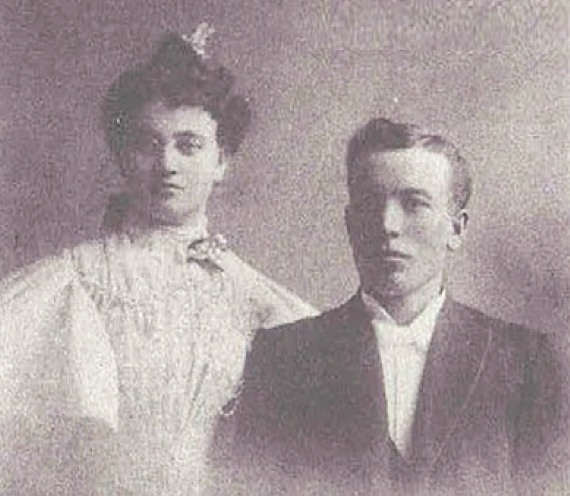 McCormack took Miss Mary Ferguson, a native of Dalhousie, New Brunswick, Canada, as his bride and from this union the couple had five children: Thomas Bulen, Dwight Ferguson, John Donald, Leslie Duncan, and Mary Genevieve (James). 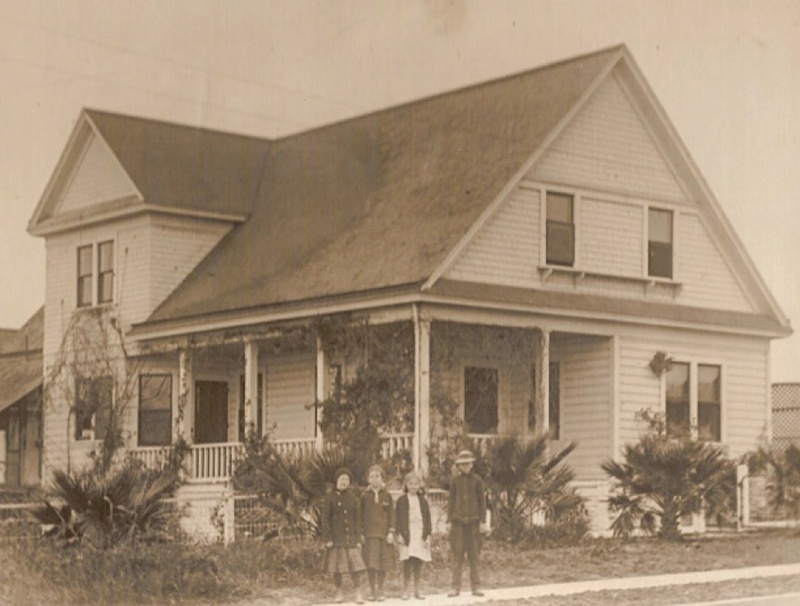 In 1907 the McCormacks moved from their grain ranch in the Montezuma Hills into their new home on the corner of St. Gertrude Avenue and South Fourth Street. McCormack became quite involved in civic matters, while still continuing to engage in extensive ranching in the Montezuma Hills. In 1915 he was voted in as a member of the first board of trustees of the Rio Vista Joint Union High School, organized in 1912. McCormack was instrumental in both acquiring the property and the construction of the school. While a member of the town trustees, he was one of the driving forces initiating the paving of town streets, shortly after the turn of the century. When the Union Baptist Church of Rio Vista was organized in July 1915, McCormack became a member of the Board of Trustees, a position that he held for many years. McCormack was also a member of several fraternal organizations in Rio Vista, Vacaville and Sacramento. In January 1917 McCormack expanded his lands by purchasing the J. Stern Ranch. Stern was the owner of J. Stern & Co., the largest general merchandise store in the Delta located on the corner of Main and Second Streets. Also that year McCormack decided to enlarge his home, hiring local contractor Jens Peter Mortensen to do the remodel. Urban legend has it that several of the ornate modifications and remodeling were the result of a personal “competition” between McCormack and another prominent Rio Vista resident, Peter Cook, who was also remodeling his home located on the corner of Main and Fifth Streets. John McCormack passed away in July 1931 at the age of 64. At the time of his death he was one of Rio Vista’s most loved citizens. After his passing, his wife continued to reside in the family home until her death in 1946. The couple’s son Bulen and his wife continued to live in the home. The McCormack family sold the home to Peter Houth in the early 1950’s. Houth owned the home for about five years before placing it on the market. Another urban legend had it that Houth had buried money in cans underneath the home. This myth was disproved many years ago. Bill King bought the home in 1957 and lived in it for twenty-one years before selling it to Ed and Linda Dutra in July 1978. The Dutra’s used the home for both a private residence and as the Dutra Dredging Company office. Dutra had such a love for dredging that he created “The Dutra Museum of Dredging,” filling the home, now a museum, with everything from original dredging blueprints to scale models that he constructed himself. The home is now both a beautiful monument to the craftsmanship of the turn of the century builders, as well as a well-crafted tribute to the history of dredging.